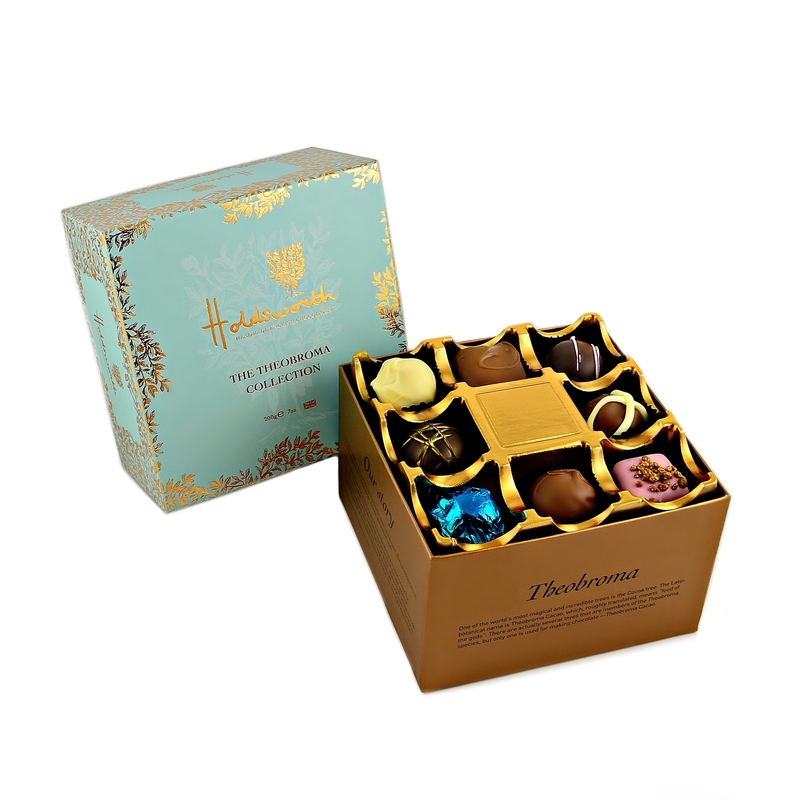 Holdsworth Chocolates Theobroma Collection showcases our most popular chocolates in one stunning box. A selection of handmade milk, dark and white chocolates, created to melt in your mouth. Smooth Milk Hazelnut Praline to seductive Crème de Cacao Truffle and many more. 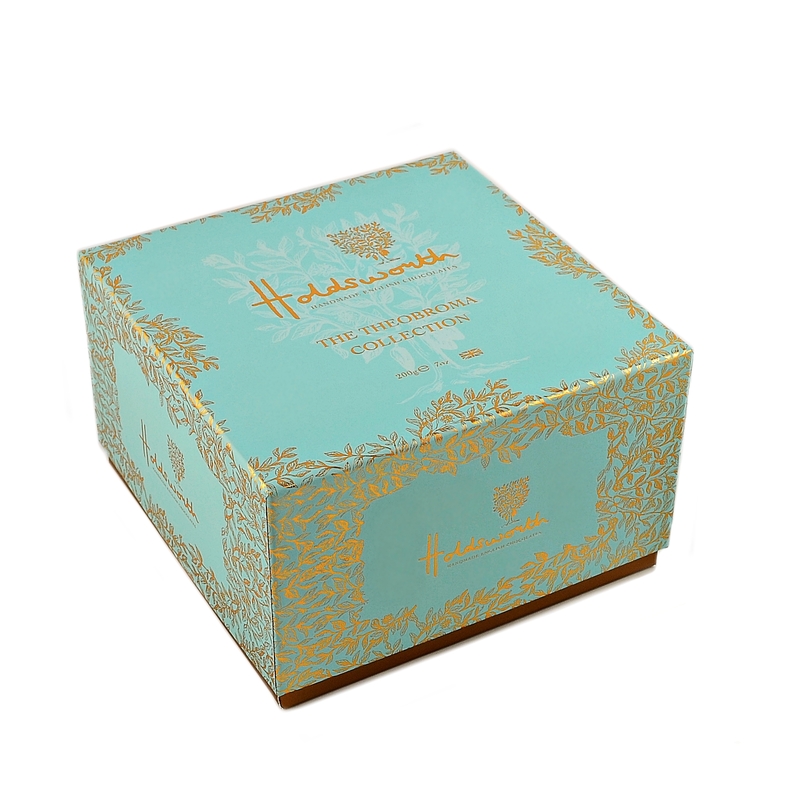 This box in is also available in Pink – click the to view. Received these for my birthday really exceptional chocolates not too rich but each one delicious however ……no message and I still don’t know who sent them !!! Absolutely delicious. We received these as a gift and have thoroughly enjoyed them. I was going to say that it would have been useful to have a ‘contents’ slip inside the box, rather than having to tip the box upside down to see what was what but, in retrospect, we both enjoyed having a ‘lucky dip’. 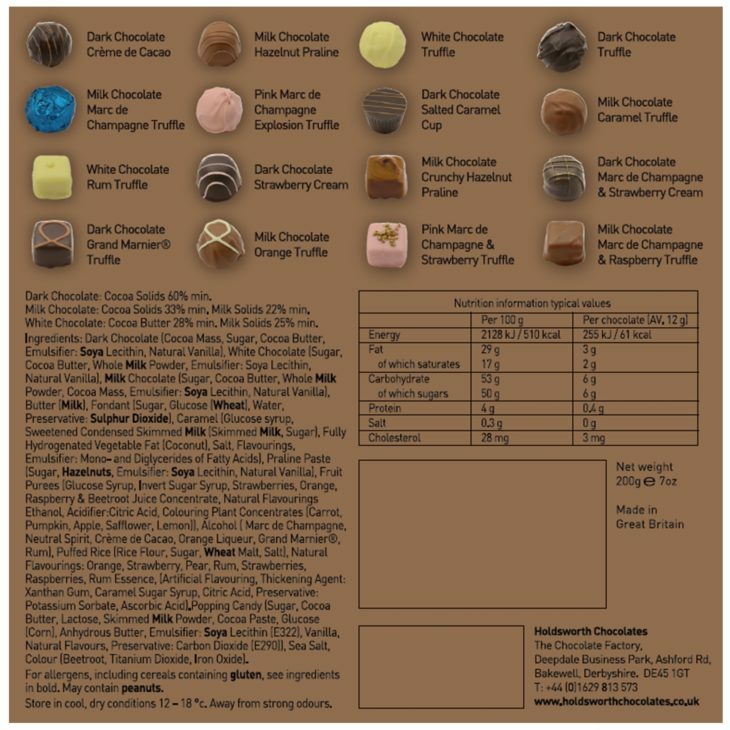 The chocolates are beautifully presented, the flavours are easy to pick out (hence the pleasure of the ‘lucky dip’) and natural, not overly sweet. Textures are varied and the combinations imaginative – the bitter, bitter dark chocolate casing around a salted caramel, not quite runny, filling was just sublime, and the fruit flavours really popped. A wonderful indulgence, we are complete converts and shall be treating ourselves next time.